Security is just one step in your records management plan, but it might be one of the most important. Implementing the proper security measures to make sure that your critical records are not vulnerable to a breach should be one of the top priorities of any employee in charge of your records management. If just one aspect of your security measures breaks down, you’re exposing your company to the risk of a data breach, which could result in large fines, a damaged reputation, and cause your business to go under. When you have thousands of records, files and documents in one place, implementing security measures might become a nightmare. 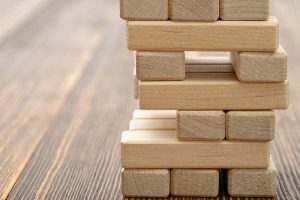 To help separate and classify the different record types, one strategy is to evaluate their levels of risk. By assigning different levels of security based on how critical the information is, you will be able to quickly figure out how to classify each record to determine if it needs to be stored on site, archived off-site, or securely destroyed. Once you’ve determined what record goes where, you can move on to the different steps you can take to secure the records you choose to store on site. 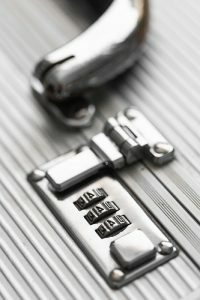 If you need to ensure that some records remain secure, you should lock the drawers, the cabinet, and the room. Not only are they a deterrent for an employee with prying eyes, but they can also extend the time it might take to actually break into the cabinet to take or copy files. The more hassle you put in front of a potential thief, the more likely they are to move on to an easier to obtain target—but remember that anyone who might want to obtain those records probably can. That’s why additional measures need to be taken to ensure that your files are secure. 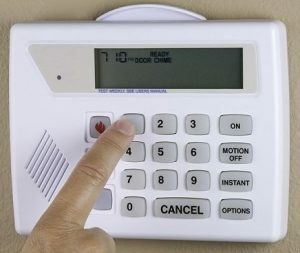 Fire alarms and security alarms are vital to ensure that you can minimize the risk of a fire consuming all your records and reduce the chance of someone infiltrating your records room to obtain company secrets. If you’ve set up a records management program, you probably have a proper backup system in place. But it’s never too late to implement a way to protect your records in case of a fire, theft, or any other natural disaster. How many employees have access to all of your company records? Limiting who can access, re-file, and copy company records helps eliminate human error, which could include accidentally losing records, taking records offsite, having extra copies of critical files around the office, or even corporate espionage. Make sure that all your records are handled and disposed of properly by employees that have the clearance level to read the contents of every file they handle. The smaller that number is the better. Misfiled or misplaced documents cost your company money. Whether you have to search for it or reproduce it, you have to factor in the cost of the time it takes to find or reproduce that file, along with the additional chance that information may be compromised. Make sure that all your records, folders, drawers, and file cabinets are labeled clearly and properly. By maintaining a consistent labeling system, you can increase the chance that a record will find its way back to the proper place, and reduce the chance of losing a record that could cost you everything. Once you have a records management system in place, you need to make sure that the system is maintained. Schedule regular audits of your critical records will help you maintain version control and reduce the chance of a data breach since you have a better chance of discovering when something valuable is missing. Once you have determined how you’re going to manage your records, you need to make sure to adhere to your document retention plan and take the time to properly and securely destroy your records as they pass their required retention time. 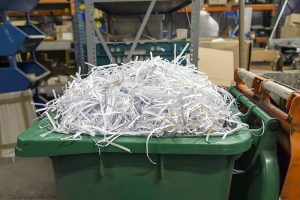 Destroying (and properly documenting) all your documents helps to reduce legal liability, reduce the number of records you store onsite, and protect your critical documents from getting into the wrong hands. Although we have given you several tips to help secure your records at your office, you might want to consider a secure offsite storage solution to help manage your records. Not only will they be stored in a secure facility, but a records management company can also give you access to any of your stored records when you need them. It’s perfect for records that haven’t passed their appropriate retention time but are no longer useful in your day-to-day activities. At Record Nations, we can help you create a records management program to help manage or store your records, convert to a document management system, and ensure that you’re implementing proper security measures that help protect your critical records and files. We can help set you up with the proper professional records management company that works best for your business. To get started, fill out the form on the right of this page, or give us a call at (866) 385-3706. Within minutes, you’ll have several companies in your area to choose from.